How Great Entrepreneurs Build Their Business and Influence – and How You Can, too. Crushing It! (2018) explains and explores why having a strong personal brand is crucial in business. 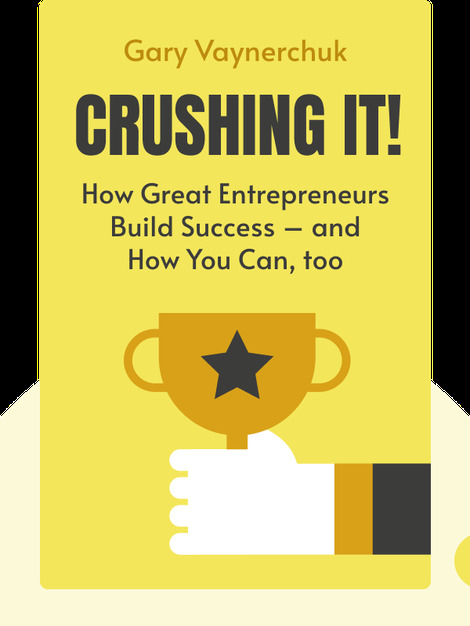 Following up on his 2009 best seller, Crush It!, the author draws on both his own experiences and those of readers to illustrate why having a strong presence across multiple digital-media channels is a blueprint for success. 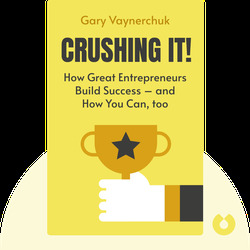 Gary Vaynerchuk is an entrepreneur and venture capitalist who has built a successful career around his personal brand and his mastery of social and digital media. First known for growing his family’s wine business, he now runs VaynerMedia, a social and digital agency. He has written several books, including Crush It! and The Thank You Economy.